Choosing and Keeping Ducks and Geese provides a comprehensive overview of care and feeding requirements and all necessary equipment for keeping these popular and easy-to-maintain animals as pets. 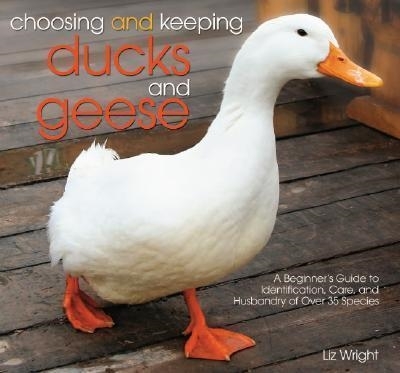 The all-inclusive guide provides extensive identification sections of 26 duck and 13 goose breeds and outlines how to incubate, hatch, and care for new ducklings and goslings. The author, an expert on ducks and geese, explains how to enter your purebred pet into a show, how to prepare the animal for competition, and identifies some of the standards that judges may be looking for when examining these beautiful birds. The eye-catching photography provides an up-close look at these lively animals throughout the text.